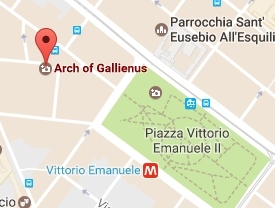 An unexpected encounter in a district of Rome where large buildings conceal ancient history almost completely. 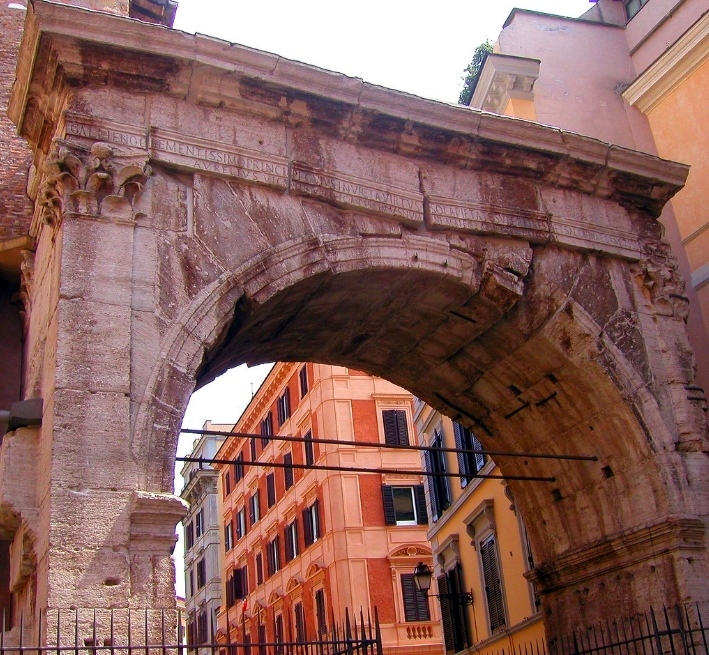 An illustrious Roman arch burdened with the load of two thousand years of memories. A shadowy place where an old, vanished city seems to survive the passage of time. Walks in Rome often provide the chance for surprising findings. 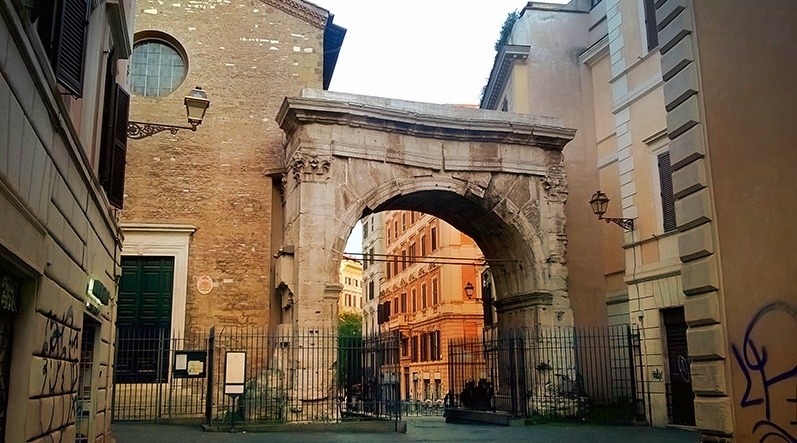 As you stroll amid the nineteenth-century blocks in the Esquiline district, your feet may bring you before one of the most picturesque sights in Rome: the arch of Gallienus. 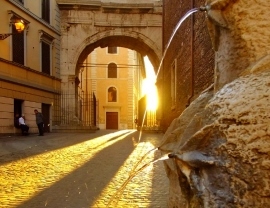 In a small alley just a few meters from the traffic's fuss and noise, the shadows of the past seem to wrap up the visitor in their mysterious fog: you are back in time, in front of the Arch of Emperor Gallienus, a ruler and general of the third century. 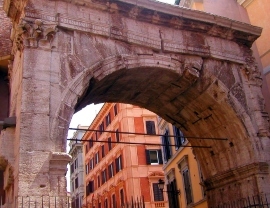 The imperial travertine, dating back to the age of Augustus, is sagging under the burden of centuries. The piers are constrained between the ancient Church of St. Vito and Modesto and a later building. 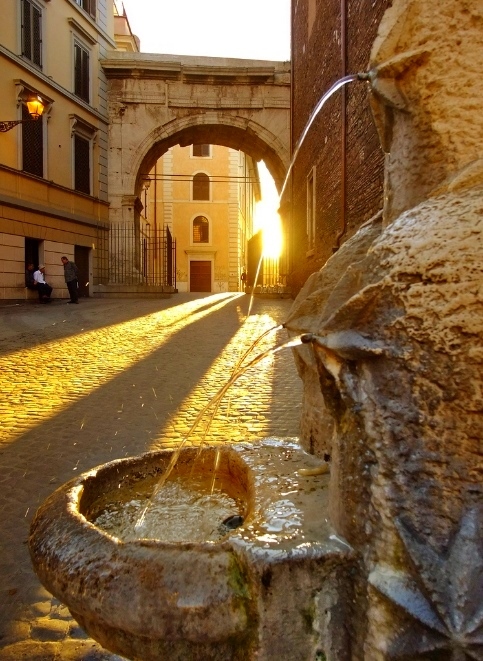 Each stone of the illustrious archway speaks of an old-gone era, when the area resounded with the cadenced steps of passing legions and the voices of idle plebeians. A place well worth a visit and a whimsical meditation. 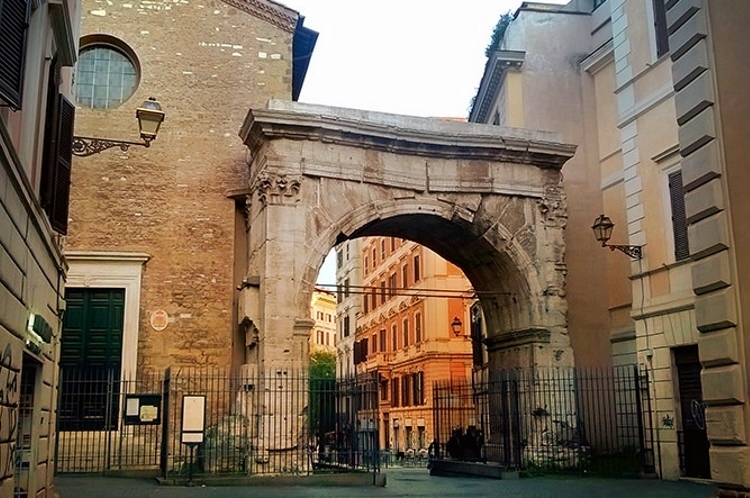 Attached to the Church of S. Vito, from which it has sometimes been named, is the Arch of Gallienus, dedicated to Gallienus by Marcus Aurelius Victor, evidently a court-flatterer of the period. 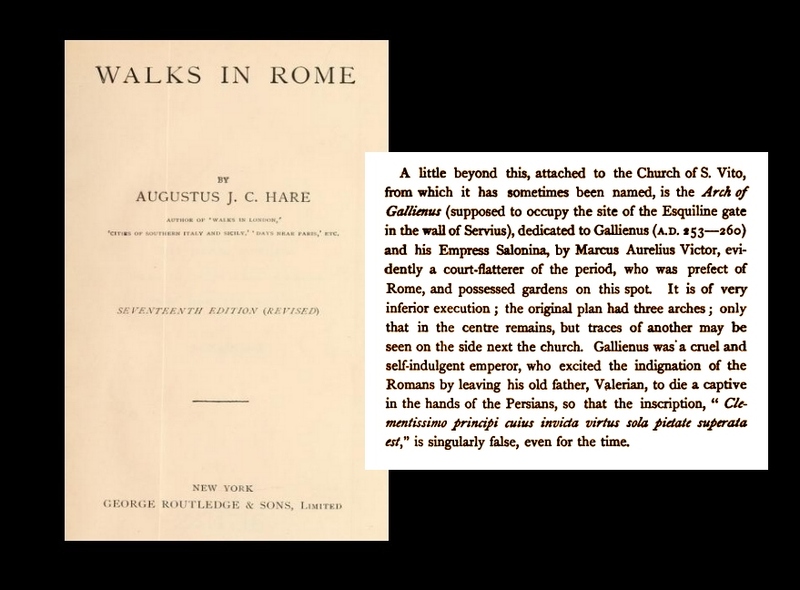 Gallienus was a cruel and self-indulgent emperor, who excited the indignation of the Romans by leaving his old father, Valerian, to die a captive in the hands of the Persians, so that the incription 'Clementissimo principi cuius invicta virtus sola pietate superata est', is singularly false, even for the time.